Romantic and unusual, Clare jewellery set adds vintage spirit to the look. 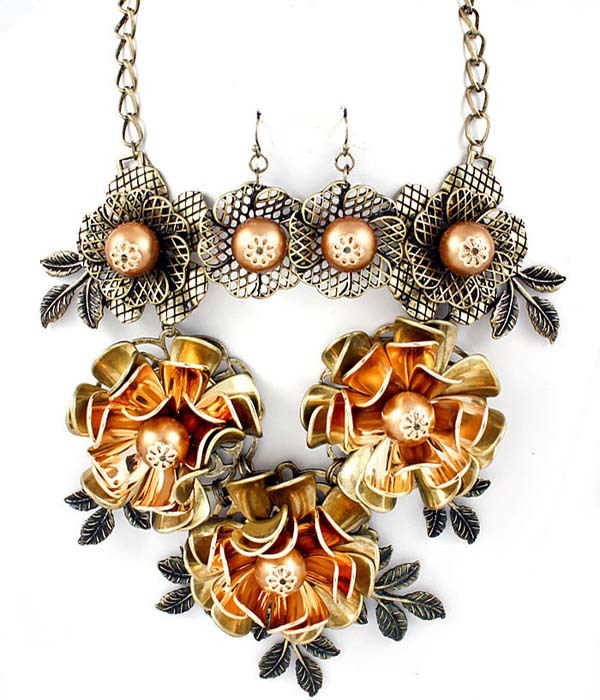 The necklace features three large gold-tone flowers with a brown pearl in the center and two middle-sized flowers crafted from aged gold metal. Order a couple of our statement necklaces to qualify for a free bonus bling gift.